We are a very fortunate elementary school as we are the most centrally located elementary school in the city. Our location is convenient for those who want to stop by to help for an hour, such as college students, and it's close to the highway for those who travel longer distances. There are two universities within walking distance and two within a five-minute drive: North Carolina Agricultural and Technical State University, Bennett College, Greensboro College, and the University of North Carolina at Greensboro. Two Guilford Technical Community College campus locations are also nearby. We are very closely located near the historic James B. Dudley High School and within walking distance to the International Civil Rights Center and Museum where the "Greensboro Four" demonstrated in nonviolent protest against racial and social injustice. We are who we are as a community because of those who invest talent, gifts, and time in our school. We value the strong partnerships we have and rely on the programming we have established to support our students and their families. Listen to each other and be proactive. What is the need or target project? Who are the individuals providing support? What are the strengths that the partners possess? Who is responsible for maintaining open lines of communication? What costs are involved? What materials are needed? Who are the liaisons to help work out logistics? Where will you meet? Is transportation needed? What are the benchmarks (check-up dates, method of success sharing, troubleshooting, etc.)? How will the success of the initiative be measured (anecdotal, interviews, surveys, data collection, etc.)? There will perhaps be different questions for your partnership. There should be additional questions to add to this list based on what you anticipate accomplishing. Do not over-think or over-stress the idea, but be specific about what the partnership needs to be successful. The more comfortable and relaxed the two parties are with each other, the better. This is not a business partnership, if done the way we suggest, this is a human support service partnership that changes lives. The single most important component to any partnership, however, is that time is spent asking the questions and listening to each other. There has to be time spent on the forefront framing the culture of caring for each other. It takes time and commitment to implement a new initiative or project because you have to build trust, establish mutual respect, and come to an agreement about how decisions will be made. This does not happen in a one-meeting overview. One socially and academically supportive partnership in particular has been developed and sustained for many years. The SMART PATH Tutoring and Enrichment program is an after-school tutoring/mentoring effort that has grown and flourished over the years. The importance of this project, in addition to the tutoring, is to show our elementary students that people care about them and their future. Students are excited to see their mentors. Being connected to others in this manner has led to many examples of success for the students—those being tutored and those doing the tutoring. Below is detailed information about the SMART PATH Tutoring and Enrichment program and partnership Washington Montessori School has established with preservice teachers and volunteers. Dr. Elizabeth Barber is our partnership cheerleader and shares the same love and concern for our students as we do. 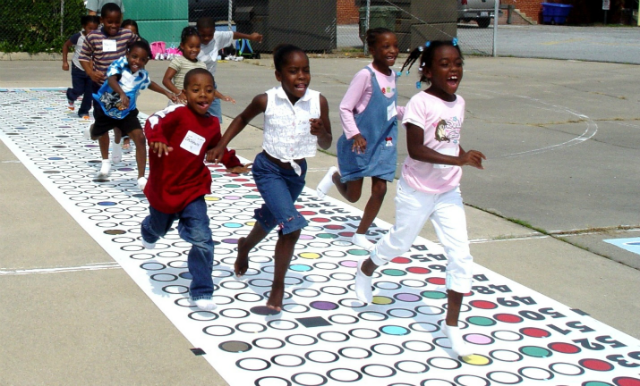 SMART PATH Tutoring and Enrichment: What Is It? How Does It Work? SMART PATH is an afterschool tutoring program that serves Washington Montessori Elementary School in Greensboro, N.C. Every Thursday and Friday during fall and spring terms, more than 20 university student volunteers come to the school for two hours of intensive, carefully targeted tutoring for 3rd–5th graders selected by the school for participation. 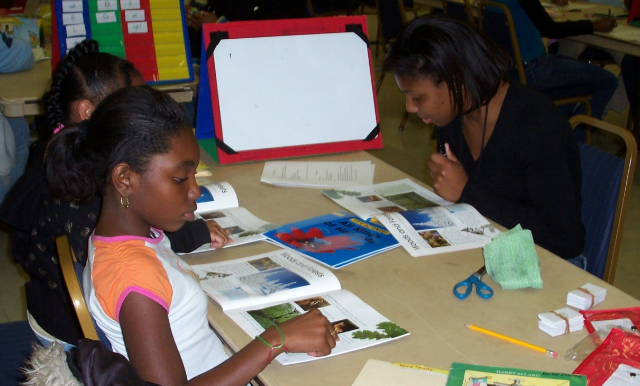 Pairs of tutors work with small groups of 4–6 learners who all read on the same level. Thursdays are literacy days, Fridays are Pathematics days. At the start of each term tutors are trained for four hours per week, across 4–6 weeks, in all components of the program. Literacy components include reading aloud to children to model reading comprehension strategies, word study, guided reading, and writing workshop. Pathematics components include reading aloud to children from a book that deals with the math concept of the day, guided hands-on activities during math concept link time that draw up prior knowledge and allow tutors to informally assess learner readiness for the day's activity on the Pathematics Runway, 40 minutes of conceptual work on the Runway in which learners use their bodies to master mathematical concepts, and math-on-paper in which learners convert concrete knowledge to abstract representations that are common in their classrooms. Tutors are also trained in how to conduct service learning with children, how to manage the group learning environment, and how to conduct baseline and end-of-term assessments in literacy and math. SMART PATH works because it is a true collaboration, a high-functioning and long-term partnership that involves the principal and staff of Washington Montessori School, a faculty member from North Carolina Agricultural and Technical State University and colleagues from the university field placement office in the School of Education, more than 20 university student tutors per term, and a team of university student site directors who are highly-skilled former tutors. Many tutors have been involved in SMART PATH across their entire university careers through moving up as program leaders. Currently four former site directors are now experienced educators themselves and they continue to take leadership roles in program planning and tutor training: Donald Thompson, Blayre Penn, Bethany Penn, and Ahmod Camp. Ahmod Camp now works in Raleigh, N.C., where he collaborating with a public school and a university to start another SMART PATH program. S.M.A.R.T. Tutoring was born in fall 2006 when the director of the university Office of Teaching Fellows, Sharon Hoard, and a graduate student, Nataki Watson, were awarded a Learn and Service America Grant to start a service learning tutoring program. They created the S.M.A.R.T. acronym—Service, Mentoring, Achievement, Responsibility, and Teamwork—that forms the program's guiding philosophy to date. Hoard and Watson brought in a Leadership Studies faculty member (myself) who had extensive experience in running school literacy programs. We partnered with Grenita Lathan, who was the principal of Washington at that time, to craft a literacy tutoring program, that would engage both tutors and children in service to others. S.M.A.R.T. started with children in spring term 2007, and was later credited by Lathan as significant in the school's effort to achieve AYP. When Sharon Jacobs became principal at Washington, she took on an even more deeply-involved role in shaping the program. At her insistence, Pathematics was added, and the program was from then on known as SMART PATH. With careful planning that included university faculty members and Dean Driver (the aeronautics engineer who invented Pathematics) the program was able to maintain its gains in literacy for children—about 1.5 years of growth on reading per year in the program—and bring about gains in math as well: children gain about 2 years in understanding equations, and slightly more than one year in math overall, based on research conducted in 2012–13 by a university student site director for an applied mathematics course she was taking at the time. University tutors report that they gain invaluable knowledge from SMART PATH participation that prepares them for future coursework and for teaching in ways that no other experience can. Those who excel are tapped to be site directors, who not only help run the program but also conduct research on program outcomes, present at state, national, and international conferences, and publish. To date three tutors and site directors have traveled to Malawi in Sub-Saharan Africa to conduct literacy and math interventions in schools there. In 2011 two of them trained Malawian teachers in how to do word study and worked in classrooms themselves for a month. 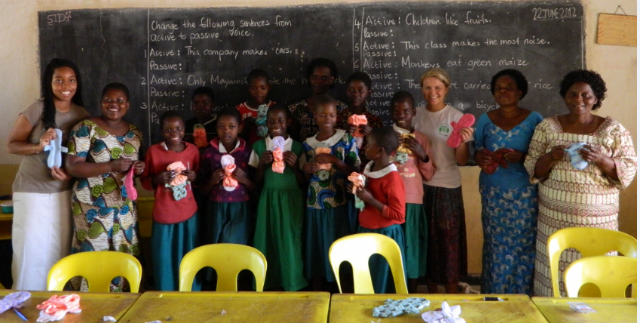 In 2012 a current site director who conducted the study of SMART PATH math outcomes, Destenie Nock, took Pathematics to Malawi, as well as a second project: sustainable hand-made Destiny Pads that now allow older girls to stay in school once they reach puberty. Destenie Nock with girls and teachers at Malemia Primary holding Desiny Pads, named for her by the teachers in Malawi who had requested help with the problem of older girls missing school and dropping out because they had no supplies. Nock's project was initially introduced in three primary schools (grades 1–8) with about 1,000 children each. It has now spread to be included in teacher training at Domasi College of Education. On the left, a schoolgirl in Malawi. On the right, children on break at Domasi Demonstration Primary in front of their much-loved Pathematics Runway. The genius of SMART PATH is the roll-up-your-sleeves-and-work-together attitude with which we started in 2006, and upon which we rely as new challenges come to us. Washington Montessori School is an outstanding laboratory for the development of both children and future teachers. Excellence is modeled there on a daily basis. Tutors and site directors have opportunities to collaborate with outstanding teachers and leaders in their field, several of whom have become life-long mentors to former tutors who are now new teachers. Service is key. University students learn to teach and lead through serving others. Children learn literacy and math as they run and play games on the Pathematics Runway and write penpal letters to age-mates in Malawi who must learn English in order to pass high-stake exams that structure access to secondary school. Mentoring matters. Teachers and leaders at Washington Montessori School mentor young people who want to teach, and do so much more deeply than we ever imagined. Dean Driver continues to patiently mentor all of us in learning how to do Pathematics. Tutors mentor children. I will never forget when Destenie Nock, as a young tutor, asked me to get her some Play-Doh for her group to use. Curious, I watched as she guided her tutees to shape images of clay in response to their reading, to build the powerful comprehension skill of imagery. Destenie tells children about her major in college, too, and so do all the tutors. Destenie and other site directors like her mentor new tutors as they struggle to learn how to conduct assessments, write and teach lessons, and reflect on their experiences with children. School and university faculty members mentor leadership and professionalism in site directors, as they partner with them and scaffold them in presenting at conferences and publishing. Achievement is the name of the game. Any lesson planned by tutors must be crafted in answer to a specific learner need that is evidenced in pre-term assessments. Children achieve, the school achieves, the program achieves, and what we are learning in SMART PATH is now helping teachers in Malawi. Responsibility and leadership are widespread and distributed. All partners are accountable to each other. Tutors reflect in writing every single tutoring session. Site directors read and respond in writing to every single lesson plan written by tutors. Tutors assess pre and post-term, to see how well they have lived up to the challenges their groups present to them. The work is real. Teamwork is what allows us to soar above other programs. The minute expertise is evidenced (whether in a child, tutor, or site director), it is employed for the good of all. I have on my desk a pair of photos of former tutor, site director, and research assistant Stephen Fails (who is now an experienced teacher) working with his tutoring group. I was circulating that day to see how the groups were doing, and had a disposable camera in my hand. Photography often helps me to capture events to analyze later on. I snapped the first photo as Stephen was writing down words on a whiteboard that his group members were calling out to him during a word study lesson. Then it happened. He handed the marker to a child, who then began scribing the words, himself. I captured the hand-over moment in the second photo. These pictures remain on my desk to keep me humble—the beauty is not just in showing others, but in knowing when to put the marker in their hands. Literacy researcher Paulo Freire said that "We make the road by walking." SMART PATH has made a path to learning using university students who, in their own words, teach children by "walking the walk and showing the how." May its benefits to all partners continue for many years to come. Sharon Jacobs is a public school educator with more than 20 years of experience. She is a former middle school assistant principal, a Nationally Board Certified Teacher-Middle Childhood Generalist, and founding principal of Washington Montessori School in Greensboro, North Carolina, the winner of the 2014 Vision in Action: The ASCD Whole Child Award. Jacobs is a North Carolina native who matriculated through the Durham Public School System and received both her undergraduate and graduate degrees from North Carolina Agricultural and Technical State University. She has worked in public schools in Rockingham County and Guilford County, North Carolina, and in Bexhill-On-Sea in East Sussex, England. Jacobs is passionate about the learning process and committed to service, change, social development, and above all, children.